August was NOT a quiet month for LabourStart. I guess the big news is that I have completed the move from our Tottenham Hale office to working at home. 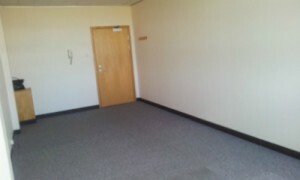 The office was finally emptied and the keys returned yesterday. This will not only mean a considerable savings (over £6,000 a year) but we will also get back a deposit of £1,470 soon. That money will help to re-fill our coffers following several months where we spent considerably more than we took in, reducing our reserves by many thousands of pounds. But there’s been good news in the last few days. We were able to raise nearly $600 from UnionBook members to pay for the hosting on Ning for the next year — that’s the full amount we need. The IUF has once again made a substantial donation to us. Norwegian unions will apparently be transferring a good sum to us very soon. And the Geneva-based FDHT is resuming its donations to us conditional upon us continuing with the project to grow LabourStart in the Portuguese-speaking world (more on this soon). In addition, I made three improvements to our campaigns – offering an alternative option for some cellphones; a new supporters count for closed campaigns; and a form for translators to submit campaigns. Details on all these appear in a post below. We ran a promotion offering free versions of our Kindle books for the first 5 days of August. A total of 2,442 books were downloaded — the most popular of which was Dan Gallin’s Solidarity (696 copies). I followed up with over 1,500 people who seemed interested in the books, asking them to post reviews, but with very limited success. In September, I’ll be helping to teach a course in Hattingen, Germany organized by the European Trade Union Institute (ETUI) together with the DGB. This should help introduce LabourStart to union communicators across Europe. This will be followed up in October by my session at a Brussels workshop of ETUI on campaigning. ETUI is also now considering a proposal to host a course dedicated to online campaigning which LabourStart would teach. Shame about the office. I take it we’re back to using your kitchen table? Nope. We have a little room we call a guest room/office. And at least once a week, the British Library reading rooms serve as a LabourStart office too.